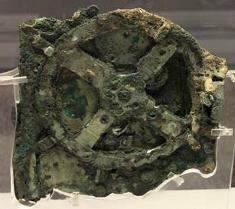 A significant invention dating from about 2000 years ago is the Antikythera Mechanism which was discovered only 100 years ago in an ancient shipwreck. It was a device that used a sophisticated system of gear-wheels to display astronomical cycles and can be considered to be the earliest forerunner of the modern computer. Marek went on to talk about the Polish astronomer and mathematician, Nicolaus Copernicus (1473 – 1543) who was a proponent of the view that the Earth rotates daily about its axis and yearly around the sun. This theory, which was rejected by the Roman Catholic Church, resulted in much simpler mathematics to explain the motion of the planets. 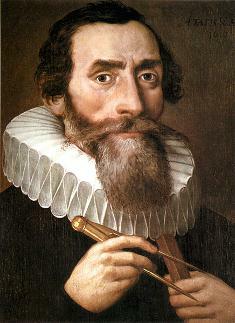 Next on the scene was Johannes Kepler (1571 -1630). He was the first to demonstrate that the planets did not move in circles around the Sun, but rather followed an elliptical path. Kepler’s discoveries were founded on the wealth of detailed observations made by Tycho Brahe. Kepler’s analysis of Tycho’s measurements of the positions of Mars was particularly important because the shape of Mars’ orbit is the most elliptical of all the planets and impossible to explain as a circle. Also, Kepler described the relationship between the time-period of planetary orbits and their distance from the Sun, which means all the distances can be calculated as soon as any one is known. Another eminent mathematician and philosopher of this era was Galileo Galilei (1564 – 1642) who is credited with the first use of the telescope in astronomy. Using his telescope he discovered four moons of Jupiter and observed their rotation around the planet, proving that not all the motions of the heavens are around the Earth (or Sun depending on one’s persuasion). His telescopic observations of the phases of Venus clearly supported the theory of a Sun-centred solar system. As a result of publishing these findings he incurred the wrath of the Catholic Church, was found guilty of defending Copernicus too much, and spent the final years of his life under house arrest. 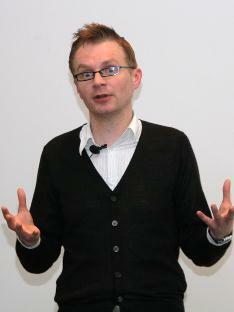 Marek mentioned two more distinguished scientists: Isaac Newton (1642 – 1727) and James Bradley (1693 – 1762). Their observations and theories finally dispelled any doubts about the Sun being the centre of the solar system. Newton showed that the same force which causes an apple to fall to Earth also holds the Moon and planets in orbit. Newton’s Laws are used to this day to calculate the flight path of space shots, including probes sent to Mars. James Bradley, the third Astronomer Royal, was the first to show by direct observation that the Earth is in motion around the Sun. His high-precision measurements detected the effect on the observed positions of stars caused by the Earth’s velocity through space, an effect he called the ‘aberration of light’. Finally, returning to Egypt, Marek recounted “A Cautionary Tale” concerning an eminent British astronomer and pioneer photographer, Charles Piazzi Smyth (1819 -1900). He was Astronomer Royal for Scotland from 1846 to 1888 and did much outstanding work in astronomy. He went to Tenerife and made many astronomical measurements in the clear air, high up in the mountains. In fact he is known as the “father of mountain observatories”. However, Piazzi Smyth was obsessed by the Egyptian pyramids at Giza. He made many observations of the pyramids measuring their size, angles and dimensions of the internal passages. All this was because he was convinced that the pyramids held many physical and astronomical constants, e.g. the size of the Earth, the value of pi, the inch unit of measurement. These values he suspected were encoded in the dimensions of the pyramids. Flinders Petrie (1853 – 1942), did not like these ideas and said that many of the measurements did not tally. Those who disagreed with him he labelled “Pyramidiots”. 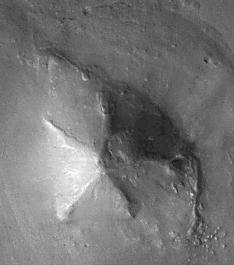 To bring the lecture to a close Marek projected some slides of Mars showing some unusual shapes; these could be interpreted as being pyramids. And some meteorites recovered in Egypt, dating from 12,000,000 years ago, on examination revealed that the air trapped inside the stones was identical to the Martian air – from Mars to Egypt! This was a fascinating lecture, crammed full of interesting facts and figures which promoted a lively Q & A afterwards.